(RxWiki News) Other nutrients in your diet may not counteract the harmful effects of sodium (salt) on blood pressure, according to a new study. This new study followed more than 4,600 men and women between 40 and 59 years of age in Japan, China, the United Kingdom and the United States. The authors looked at data on the intake of 80 nutrients, such as proteins, fats, vitamins, minerals and amino acids, as well as sodium intake, that may relate to blood pressure. They concluded that other dietary nutrients may not reduce the negative effects sodium has on the body and heart health. These researchers emphasized the importance of reducing salt intake to prevent and manage high blood pressure. 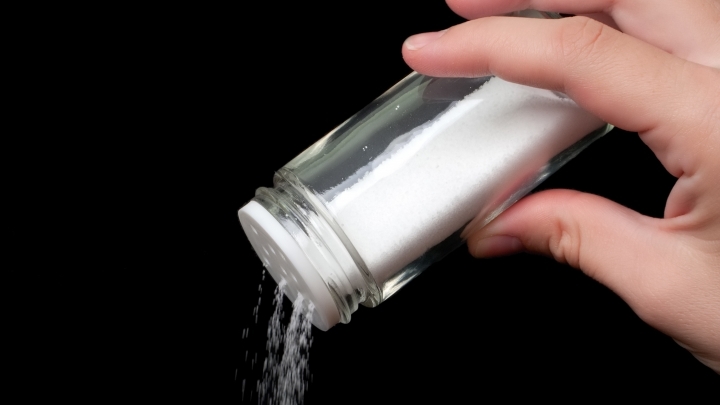 About 75 percent of sodium intake in the US comes from processed, prepackaged, and restaurant foods and not from the salt shaker when cooking or eating at home, according to the American Heart Association (AHA). The AHA recommended that adults consume less than one teaspoon of salt (2,300 milligrams of sodium) per day. Additionally, the AHA has developed a campaign to help improve the food supply and reduce sodium intake. Speak with your health care provider about ways to cut the salt and prevent or manage high blood pressure. This new study was published in the AHA's journal Hypertension. At the time of publication, funding and conflict of interest disclosures were not available.